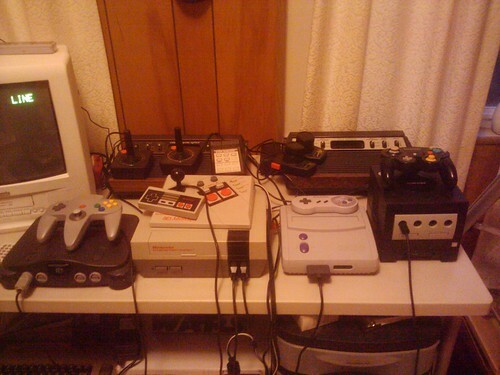 Here is a picture of my gaming systems so far minus the wii, it gets to live in the living room. I still need to get a top loading NES, an original SNES, a colecovision, a turboxgrafx, a sega master system, and an intellivision. If you are reading this and you know someone who has one of the above that they want to get rid of please let me know.